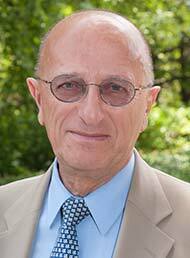 Hrair Balian joined The Carter Center in 2008 as director of the Conflict Resolution Program. He also served as an adjunct professor at the Emory University Law School from 2008 to 2017, teaching an advanced international negotiations seminar. Since 1991, Balian has worked in the Balkans, Eastern Europe, the independent states emerging from the former Soviet Union, the Middle East, and Africa, serving in intergovernmental organizations (the United Nations and the Organization for Security and Cooperation in Europe) and nongovernmental organizations (International Crisis Group and others). He has worked on elections, human rights, and conflict resolution. Balian received his Juris Doctor degree from Golden Gate University in San Francisco. In May 2009, the New England College awarded him the degree of Doctor of Laws, honoris causa, for his "lifetime commitment to the dignity, respect, and self-determination of all peoples" and for his "uncompromising effort to resolve international conflicts." He is fluent in English, French, and Armenian, with a basic knowledge of Arabic. He was born and raised in Lebanon, moving to the United States for university studies.